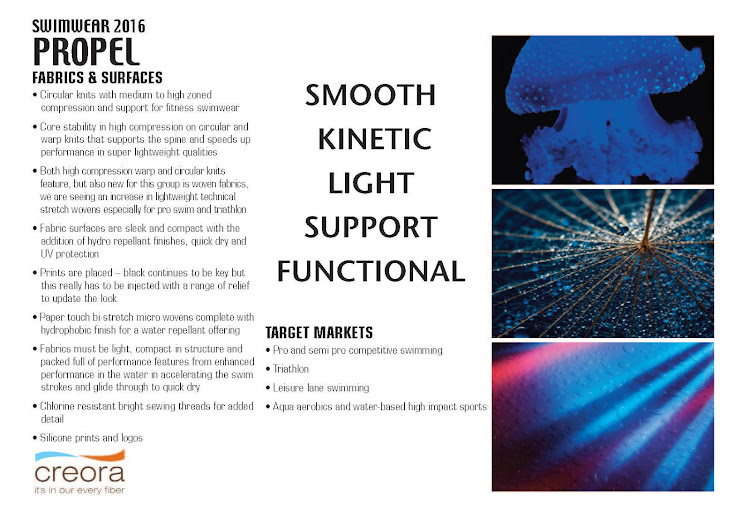 Creora®, the global leading spandex/elastane supplier in the world and their commitment is to find new ways to meet evolving business needs. 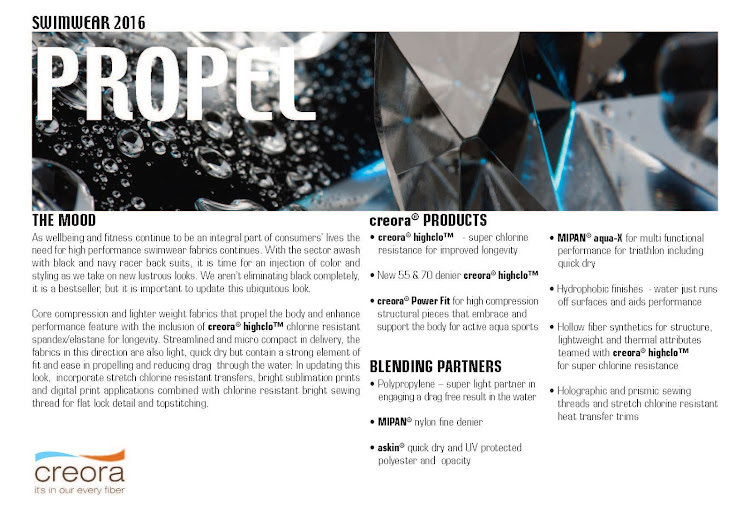 They intend to invest and grow capabilities to meet market demands and to continue to deliver the world's best quality, best services and innovation. 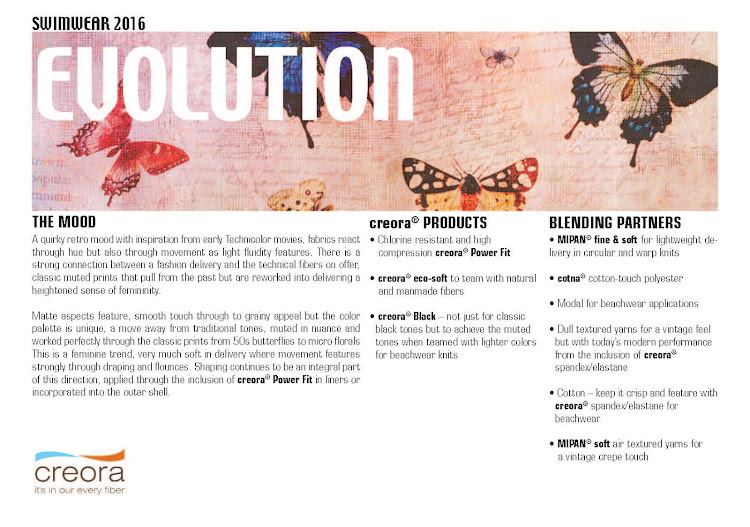 To learn more go to their website, here. 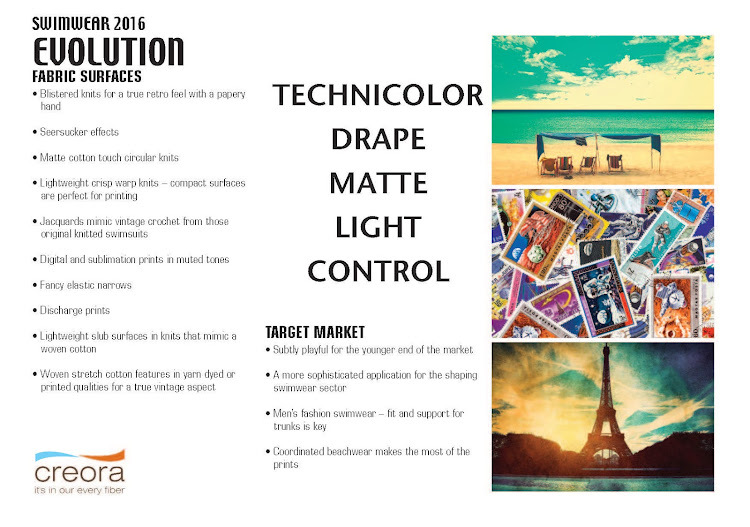 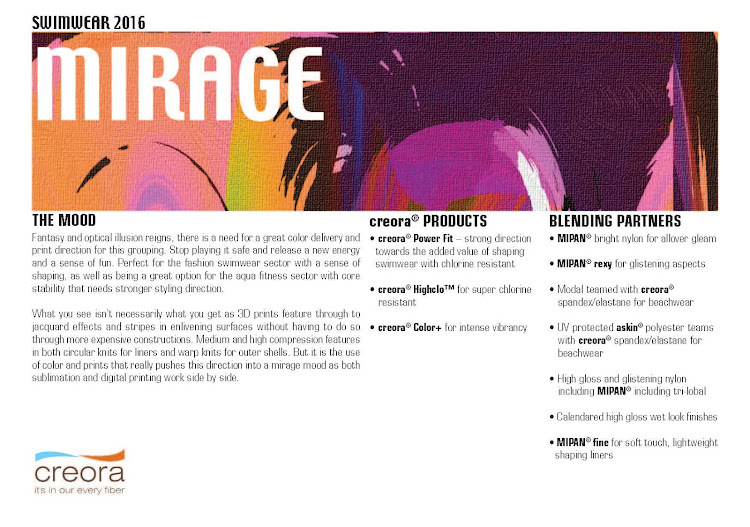 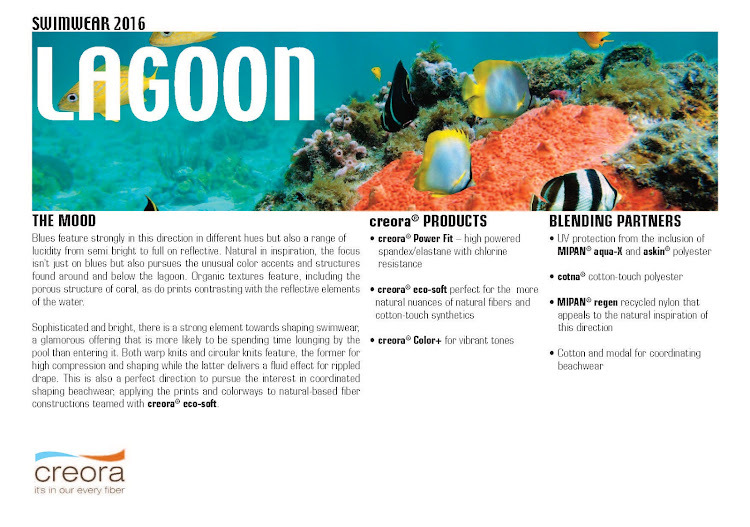 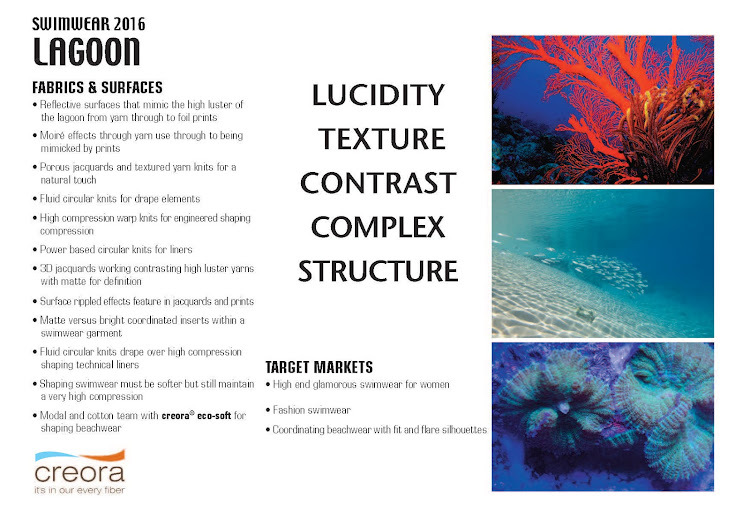 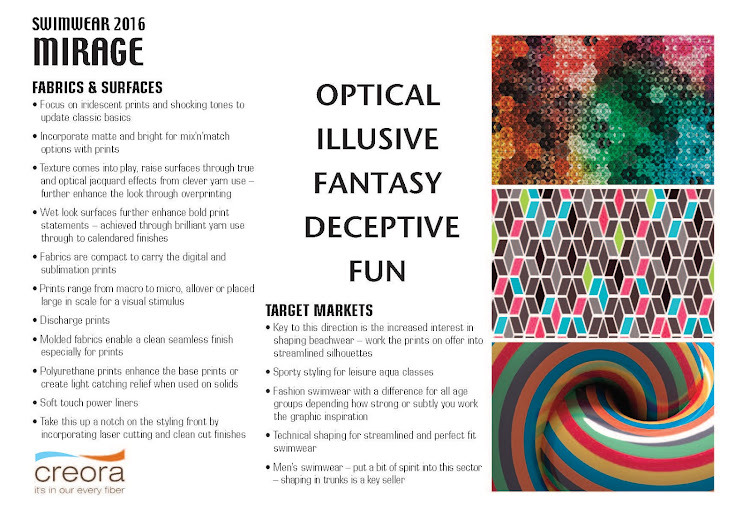 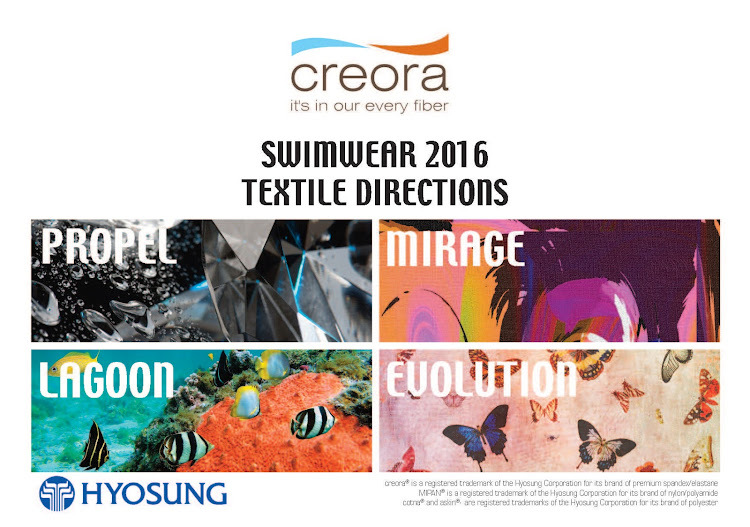 Below is Creora®'s Swimwear 2016 Textile Directions, go here for their other reports for Intimate, Ready To Wear, Activewear, Hosiery and Denim.